Award-winning publisher BOOM! 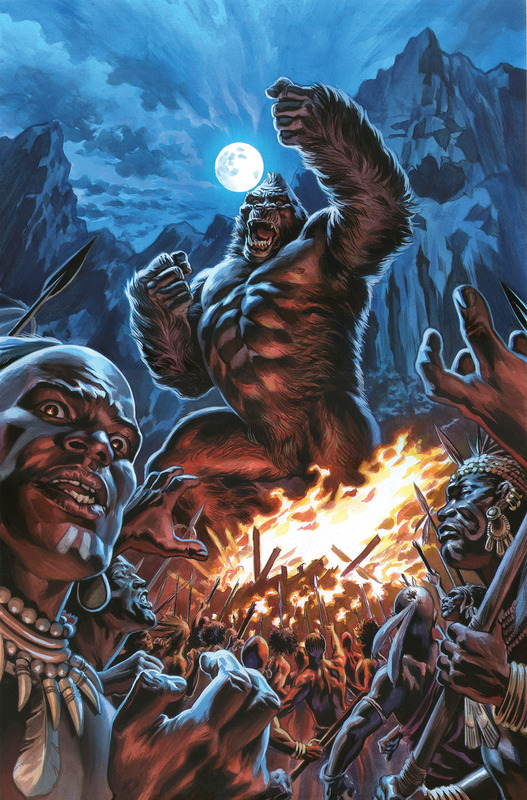 Studios and DeVito Artworks LLC are excited to announce Kong of Skull Island, an original, limited comic book series debuting in July featuring the famous gargantuan ape, King Kong, created by Merian C. Cooper, and grounded in artist/author Joe DeVito’s ground-breaking literary property Skull Island. Kong of Skull Island is exclusively authorized and endorsed by the Cooper family as their official King Kong/Skull Island prequel and sequel origin story. BOOM!’s comic series will be written by James Asmus (All-New Inhumans) and illustrated by Carlos Magno (Planet of the Apes). 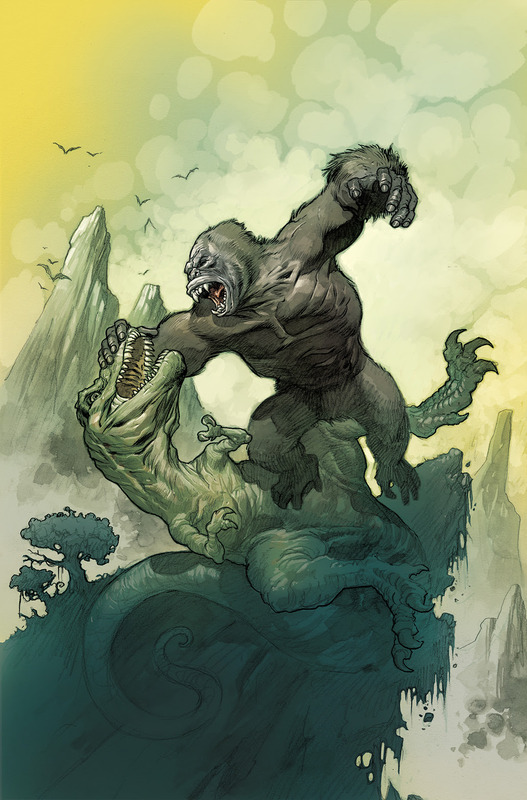 BOOM!’s Kong of Skull Island comic series takes place well before Carl Denham, Jack Driscoll, and the rest of the Wanderer’s crew set foot on the island. 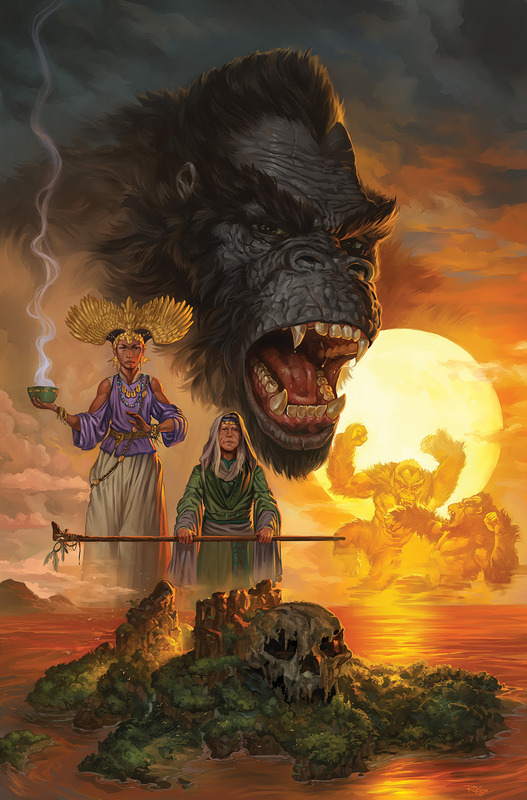 Two fractured and combative civilizations are forced to band together as they venture onto Skull Island, their new home, which they are soon horrified to realize is home to dinosaurs, giant creatures...and Kongs. “It is exhilarating to be working with BOOM! Studios and such an astute and nuanced group of writers and artists. This fabulous Kong of Skull Island series digs deep!” said Joe DeVito. 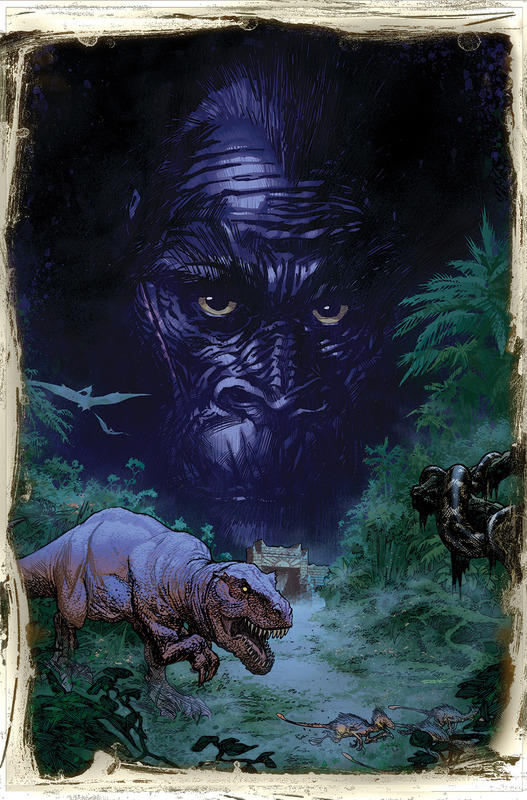 Kong of Skull Island #1 (of 6) arrives in comic shops on July 13th with a main cover by Felipe Massafera (Green Lantern: War of the Green Lanterns) for the price of $3.99. Also available are incentive covers by Nick Robles (Clockwork Angels) andEric Powell (The Goon), and retailer auction covers by Ryan Sook (Superman: American Alien) and Paul Pope (Batman: Year 100). Retailers will have the option to bid on the Sook and Pope covers in order to secure it exclusively for their store. Ask your local retailer for details. The Final Order Cutoff deadline for retailers is June 20th. Not sure where to find your nearest comic retailer? Use comicshoplocator.com or findacomicshop.com to find one!